Here at the Strath Lodge, we are a husband and wife team providing bed and breakfast accommodation from our home and our aim is to ensure you have a most enjoyable stay with us. We do not employ staff and do not have a 24 hour reception desk. To ensure smooth and efficient operation for the benefit of all guests, we do have some terms and conditions which we require guests to read through in full and adhere to. The main thing that we ask, it that you respect that Strath Lodge is our home, and that you respect and consider all guests that are staying with us. By proceeding with a reservation, you will be deemed to have fully read and understood our terms and conditions as detailed below. Check-in to your room is strictly only available between 4pm and 7pm on your day of arrival. After 7pm, we have our own personal commitments which mean that we cannot always be at home later in the evenings. We are a small B&B and do not have a 24 hour reception. If you fail to arrive by 7pm, we may not be available to check you in, and consequently are unable to guarantee that your room will still be available. After this time, we reserve the right to cancel your reservation and you will be treated as a ‘no-show’ where the terms of our cancellation policy will apply and you will be liable for the full cost of your stay. Check-in will NOT be possible after 10pm under any circumstances. If you arrive after this time, you will be turned away. Between 10am and 4pm we do expect guests to go out and enjoy the local area. This allows us to get on with the work necessary to refresh your room, prepare for new arrivals and to carry out minor maintenance and service work. Check-out is by 10am on your departure day. On your day of departure, we would prefer you to settle your bill by making payment in cash (pounds sterling). This is due to the fact that credit card processing companies impose excessively high charges on small businesses such as ours. As we do not have any family rooms, we are unable to accommodate children under the age of 16 years old. This includes children sharing beds with parents and infants in travel cots. Children aged 16 years and older are welcome but must occupy a room of their own at the appropriate room rate. If you arrive with children under the age of 16 years with the intention that they share your room, your reservation will be cancelled immediately as we have a strict policy of only two persons per room and no children under the age of 16 years old. Our home insurance has been set up on this basis, and so we are unable to make any exceptions to this policy. As we are a small business, you will understand that cancellations have a significant impact on us. 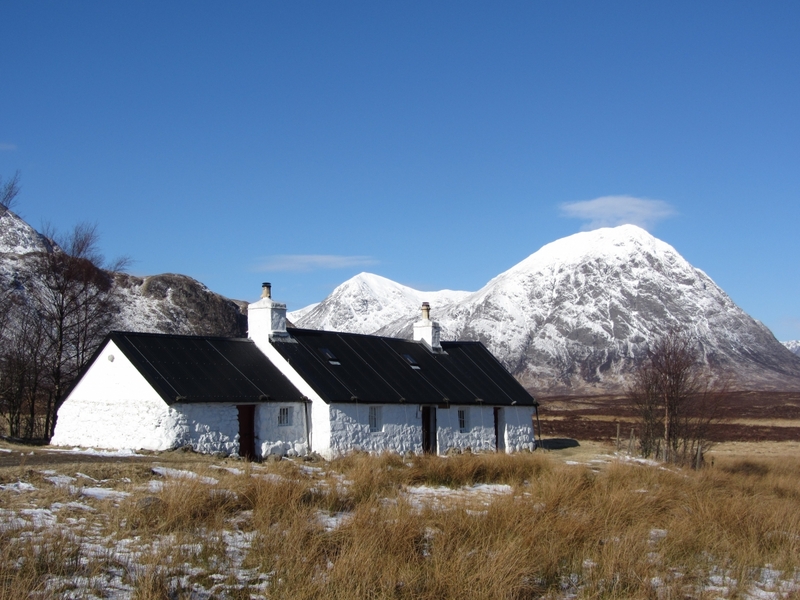 The tourist season is short in the Highlands, and because of this, we have to adopt a cancellation policy that ensures our B&B remains viable as a business and remains open for guests to enjoy in the future. 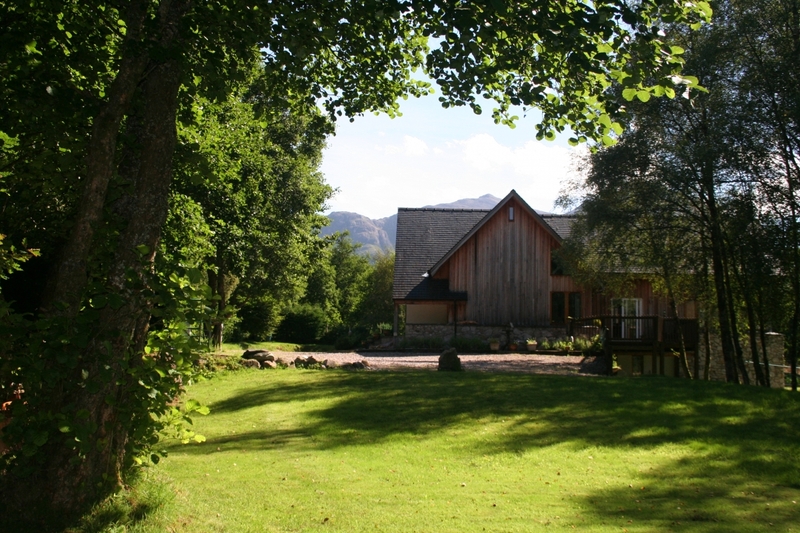 The majority of visitors to Glencoe, book many months in advance, and we do not get many requests for accommodation with only a few weeks to a proposed arrival date. We are also in a quiet location just outside of the village, and so passing trade is minimal. In accepting your booking we may have turned away many other requests for the same period. With that in mind, we recommend that you consider taking out travel insurance, to cover the possibility of you having to cancel or curtail your holiday. If you choose to cancel your reservation more than 14 days before the date of your first nights’ stay, a cancellation charge equivalent to a single nights’ stay will become payable. If you choose to cancel your reservation with less than 14 days’ notice, before the date of your first night’s stay, a cancellation charge equivalent to the entire booking will become payable. In the event of a curtailment to the number of days you wish to stay, made either before arriving, or during your stay, the full cost of the original booking will still be chargeable on departure. E.g. if you have booked for three nights and you wish to cancel one of those nights, we will continue to make a charge for a 3 night stay. If you fail to arrive and “No show”, the cost of the entire booking will become payable. Cancellation charges will be deducted from the card that was provided at the initial booking and used to secure the room reservation. If you have booked more than one room, then the card used secure the reservation will be used for any cancellation charges. We will always confirm any booking cancellations by sending you an email. A booking should only be considered as cancelled when you have received a confirmation email from us. To make it absolutely clear that we are aware of your intentions, we suggest you phone us with any requests for reservation cancellations. If you require an amendment to a confirmed booking – your initial booking will be cancelled in its entirety. We will then assess your new booking request as a brand new request. Your reservation at Strath Lodge will only be cancelled by us in exceptional and unforeseen circumstances. In the event that we do need to cancel your reservation, then we will notify you as soon as practicably possible, and will endeavour to provide you with alternative accommodation recommendations in the local area. We will however not be responsible for any losses or increased expenditure by you in securing alternative accommodation elsewhere. For the benefit of all guests who come to stay with us in our rooms, we are not able to accommodate your pets within our home. We do have a dog ourselves, although she is not allowed in the guest areas of our home. We operate a strict policy on non-residents guests. Under no circumstances will any person(s), not accepted by us as paying guests, be permitted to join you either in your room or in the public areas in our home. Take-away food is not permitted to be consumed in rooms under any circumstances. Guests using the room the following evening would not want to be greeted by the smell of fish and chips or a curry. Food stains can be difficult to remove from bedding and carpets. If we find that you have eaten a takeaway in your room, then a surcharge of one nights’ stay will be added to your bill, or charged to your card if you have already checked out, to cover the costs of deep cleaning the rooms. Large items of outdoor equipment are not permitted to be taken into the guest bedrooms. We have a spacious storage area available for outdoor equipment, such as bikes, golfing equipment, canoes, wetsuits, parascending rigs etc. Please take care when staying at our home. All of the fixtures and fittings are our own personal possessions and we ask that you respect them. It is not, for example, acceptable to polish your shoes or muddy boots with our towels. Whilst we do appreciate that accidents can happen, we do have to maintain the high standard of our rooms for all guests. You are responsible and liable for any breakages or damages, which you cause to the room or its contents (accidental or deliberate). This includes spillages of food and drinks on bedding and carpets. We ask that you report any incidents as they occur. If there are any spillages on the carpets or bedding, please let us know immediately so we can hopefully clean them up quickly without them becoming ruined. All damages and breakages must be paid for before your departure. If you depart and do not notify us of any damages or spillages, we will charge your card retrospectively for these damages. If we find that a room requires excessive cleaning after you have departed, we reserve the right to make a charge to cover the additional cleaning time required. In the event that you lose the door keys given to you whilst you stay with us, a charge will be made to cover replacement locks, as we always replace the door locks to maintain the security of our home. We operate a strict non-smoking and a non-vaping policy throughout the building. If you are found to be smoking in the rooms, a deep cleaning charge of one nights’ stay will be added to your bill, or charged to your card if you have already checked out, to cover the costs of deep cleaning the rooms. If you intend to use the services of a baggage transfer service if for example you are walking the West Highland Way, please discuss this with us at the time of your booking. Normally there is someone at home to handover the bags, but this cannot always be guaranteed.